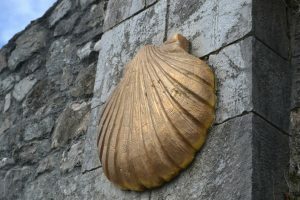 The Primitive Way (or Original Way) is the oldest pilgrimage route of the Camino Santiago (even though the French Way is the most popular one). This route starts in Oviedo (the capital city of Asturias region, in Northern Spain), and goes all over the interior of Galicia, until Santiago de Compostela. It is one of the most spiritual routes of the Camino de Santiago, but it is not really well known. For this reason, today we would like to let you know 5 facts about this wonderful route, so you can get familiar with it. As we were saying before, the Primitive Way is the oldest route of the Camino. In the IX century, the remains of the Apostle St James were discovered, and the King Alfonso II was in Oviedo, and decided to take on this route to visit the tomb. The trail we can walk nowadays, is almost the same walked by the King back in the IX century. We can also find the origin of the route in those pilgrims that, once in León, decided to divert their way to stop in Oviedo, and visitÂ its Cathedral before reaching Santiago de Compostela. Melide is the town where the Primitive Way and the French Way merge together, and they continue as the same route up to Santiago de Compostela. Those pilgrims who choose to walk the Primitive Way, will see that the number of walkers will radically increase from this point. After a couple of days of solitude and silence, the route will become more sociable. The Primitive Way is a very rich route in terms of archeology: there are many megalithic remains and Iron Age settlements (particularly once we reach Galicia region). 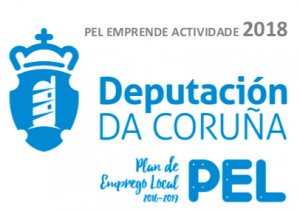 We will be able to see dolmens and forts, and also Roman architecture in Lugo. Also, we can find many different religious buildings: from small chapels and churches, to great Cathedrals, like San Salvador in Oviedo, or Santa María in Lugo. But there’s something that makes this route very special in terms of architecture: the great stately mansions we can see on the way. These buildings are considered to be a sample of the social and economic splendor of the time. A suitable level of fitness is strongly recommended to those pilgrims planning to walk the Primitive Way. The route is beautiful in terms of landscapes, but also very challenging, with slopes and inclines. That is why we advice pilgrims to have a minimum level of experience in long walking routes. Also, some of the stretches are not really recommended to those who want to cycle it (don’t worry too much, there are alternative routes and detours for cyclists). The Roman town of Lugo represents one of the most popular stops of the Primitive Way. In fact, there is a guide about the Camino de Santiago, that was written back in the XV century and published in Strasbourg, in which a German pilgrim from that time writes about the city. He talks about its walls, bridges, distribution… and other facts that we can discover at the Centre of Interpretation of the Camino de Santiago, that we can visit there. Do you know any other interesting fact about the Primitive Way? Do not hesitate to contact us here!